The .doc file type was the most common attachment type used in spear-phishing attacks, making up more than 52.9 percent of all attachments in September. The largest data breach reported in September actually took place in April, and resulted in the exposure of 56 million identities. 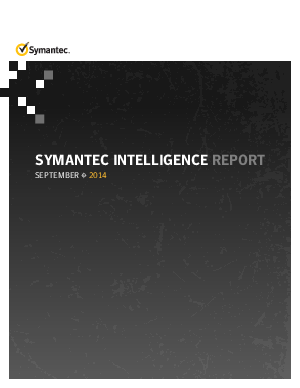 There were 600 vulnerabilities disclosed in the month of September, the highest number so far in 2014 and second-highest in the last 12 months.